The December We Should Cocoa challenge is being hosted by Choclette of Chocolate Log Blog and she's chosen dates as the ingredient to combine with chocolate. I use dates in some cakes but not usually with chocolate and I wasn't sure what to do until my good lady wife suggested a Gâteau Breton. Although this gateau is very often plain, some people prefer it with a filling such as apples or prunes soaked in armagnac. So I put together a date and chocolate filling instead, which may look unpromising (or even faintly disgusting) but I assure you it tastes good. You don't even have to buy expensive whole dates for this – simple chopped dates will do fine, as long as they're nice ones. Actually, we did buy some whole dates, but then we ate them. There are a lot of rules about how the authentic Gâteau Breton should be made and I don't seem to stick to all of them; but then neither do all the apparently authoritative recipes I've seen. Two rules I do stick to, though, are that there should always be the same weight of sugar as butter and that the butter has to be salted. I'm reliably informed that using unsalted butter in a Gâteau Breton would be one of the worst thing you could do in Brittany – roughly the equivalent of walking into a bar in Quimper and announcing that you don't like bagpipes. You could make the filling the day before and keep it in the fridge until needed. Bring it back to room temperature before using, though. First, make the filling. Put the dates, water, rum and sugar in a saucepan and heat gently with plenty of stirring until the mixture starts to look like a paste (a spoon dragged through it should leave a clear trail on the bottom of the pan). Take off the heat and stir in the butter and chocolate. Keep stirring until both have dissolved. Set aside to cool. Preheat the oven to 180ºC. Thoroughly grease a 20 cm cake tin (it needs to be about 5 cm deep). If you happen to have a mixer with a paddle attachment standing round doing nothing then it will make the following gateau-beating process a lot easier. Cream the butter and sugar thoroughly. Lightly beat the egg yolks, remove a scant tablespoonful and set this aside for glazing the top of the gateau. Add half of the remaining egg yolks to the butter and sugar and beat in, then do the same with the other half of the yolks and the calvados. Finally add the flour and beat in until everything looks nice and smooth. Put half of the mixture into the prepared tin and spread it out as flat as reasonably possible – a combination of a palette knife and fingers works best for me. Spread the filling over the mixture evenly but avoid going right up to the edges. Cover with the other half of the mixture making the top as flat and smooth as possible. Lightly beat the egg white and paint over the top of the gateau – you probably won't need it all. Now paint with the reserved egg yolk – add a tiny amount of water if the yolk is too thick to spread. At this point, it's traditional to mark the top of the gateau with a pattern using the tines of a fork. Bake for 40 – 45 minutes – the top should be a deep golden brown. Allow to cool a fair bit before removing carefully from the tin. Quite small slices are probably the order of the day – this is pretty rich. I remember with something close to horror eating strange puddings made with ground rice as a kid. But in my defence I should point out that cooking as we know it today hadn't been invented then and food was mostly hit with sticks until it gave up. There are ground rice puddings from many parts of the world flavoured with a vast range of lovely things such as rosewater, orange flower water or cardamom as well as good old vanilla, so I thought I should try making some myself. It turns out that everyone else was right and they're very comforting. This pudding will be even more silky and luxurious if you add some cream, of course, but I'm trying to be a little healthy. The croquants are the traditional biscuit from the beautiful town of Cordes-sur-Ciel in the Tarn. The recipe dates back to the 17th century so I've tried to restrain myself from mucking about with it too much. La Fête du Croquant is held in Cordes-sur-Ciel every June, which sounds like an excellent opportunity to eat too many biscuits. (For some reason we never seem to want to have a Festival of the Digestive or the Rich Tea in the UK.) The croquants aren't usually served with English rice pudding, of course, but I don't have any decent Gaillac wine to hand. The quantities here should give you 2 generous portions of rice pudding (or maybe 4 refined portions) and around 16 croquants, but that will depend on how big you want to make them. The croquants will keep well in an airtight tin. Soak the raisins in the limoncello for at least ½ hour before you start. Mix the rice with around 100 ml of the milk and add this mixture to the rest of the milk in a saucepan. Bring to the boil with a lot of stirring. Once it reaches boiling point, simmer gently for around 7 minutes making sure that you continue to stir frequently. By this time the mixture should have thickened a fair bit, without becoming solid. Stir in the sugar, lemon extract and the raisins with any remaining limoncello. Keep cooking gently (and stirring) for 2 -3 minutes. Spoon into serving dishes and chill until needed. Preheat the oven to 190°C. Mix the flour and sugar together. Mix in the egg whites – the best way is to just work these in with your fingers. (This is pleasingly messy). Once this mixture has come together add the almonds and work these in as well. Line a couple of flat oven trays with either silicone sheets or non-stick baking parchment. Plop something like tablespoonfuls of the mixture onto the baking trays. You don't need to flatten the piles of mixture, but make sure you leave a fair amount of room between them since they will spread out as they cook. Bake for 12 – 16 minutes or until the tops are light brown – be careful that they don't get too dark. Remove from the oven but don't try to remove them from the trays until they're cold or nearly cold – they will stick to pretty much everything while they're hot. I suppose that it's about time to gather in the summer harvest before finally having to admit that the autumn is here. I feel like I’ve eaten every courgette dish imaginable and I’ve made plenty of chutney but the courgette plants are still producing. So I've used a few of the spare courgettes to make this simple but pleasing jam. Actually, calling it a jam is a bit misleading since it's based loosely on a French confiture de courgettes and is intended for serving with cheese, pâté or other savoury bits and bobs. Of course, there's nothing stopping you spreading it on your toast in the morning; after all breakfast in France is just a small lunch. You can use up any overgrown marrow-like courgettes in this jam, but only use the fleshy outer parts and discard the seedy core for best results. You can vary the mix of dried fruit as the mood and market takes you, but a few figs are particularly nice. The amount given here should make 3 standard jars. Mix all the ingredients together thoroughly in a large bowl, cover and leave overnight. This will blend the flavours, plump up the dried fruit and draw a lot of water out of the courgettes. The next day, pour the whole lot into a jam or preserving pan. Bring to the boil, stirring to ensure that any errant sugar has dissolved. Boil gently until the jam reaches setting point. (Test using the old trick of saucers kept in the freezer. Put a drop of jam on a cold saucer and push it with your finger after a minute – if it wrinkles, then the jam's ready.) How long the jam takes to reach this point will depend on how fiercely you boil and how much water was in the courgettes, but 20 – 30 minutes should be about right. Let the jam cool a little then pour into warm sterilised jars. The harvest of asparagus peas has proved a lot less useful. They turn up in a number of veg growing books as something a bit different that you might like to try. Well, I did try. They're reasonably easy to grow but despite the name they don't taste of asparagus or peas or anything else for that matter and they combine a lack of flavour with a rather unpleasant texture. Not a plant I'd grow again but I have to admit that they're quite pretty. I'm willing to admit that this soup comes as an attempt to use at least some of the bumper crop of courgettes and herbs from the garden, but I think it tastes pretty good too. Courgettes are good with other herbs like basil too if that's what you have to hand and if you don't have sorrel, then add a little more lemon juice instead. This soup will work either hot or chilled, but if you're serving it chilled then you may want to increase the amount of lemon or sorrel for that refreshing sharpness on a warm day. Instead of reaching for the olive oil as I usually would, I used a little extra virgin rapeseed oil. These oils have a very pleasing nutty and slightly grassy flavour which works really well with courgettes. The one I used was Hillfarm extra virgin cold pressed rapeseed oil but I've also been using Farrington's Mellow Yellow cold pressed rapeseed oil and that's an excellent product as well. Both these oils work very well in courgette cake too (told you that I had a lot of courgettes). I was intending to make enough soup for 4 but actually ended up with around 5 servings but I don't think you need to be too precise about exact weights and amounts in this soup. Start to soften the onion in a little of the rapeseed oil. After 5 minutes or so add the potato, stir it around and keep frying gently for a couple of minutes. Add the coriander stalks and pour over enough of the stock to just cover the potatoes. Cover the pan and simmer gently for 12 -15 minutes until the potatoes start to soften. Slice courgettes into rounds – the thickness isn't really critical, but not too thin. Add the courgettes and the rest of the stock to the pan and simmer for another 10 minutes or until the courgettes have softened but not fallen apart. Add the coconut milk and all the herbs, give the pan a thorough stir and take it off the heat. Leave the pan to one side to cool and infuse for at least 20 minutes before liquidising. Add salt and pepper after liquidising (it probably won't need a lot) together with a squeeze or two of lemon juice. It's the time of year to wander around the hedgerows, assuming that you can still find any, collecting blackberries – I suppose I should say brambles really. There’s nothing original about how I make blackberry vinegar but I find it's really useful throughout the year and especially during the winter to come. I use it in dressings, marinades and dishes like red cabbage. Wash and pick over the berries, getting rid of any foreign bodies and other nasty bits and weigh them once they've drained thoroughly. Put the berries in a deep, non-reactive bowl. Traditionally you now need to add 1 pint of vinegar for every pound of berries – I'm a bit generous with the vinegar and add around 580 ml of white wine vinegar to every 450 g of berries. Stir the berries around in the vinegar briefly and give them a gentle crush. At this point you can add herbs, such as a few leaves of lemon verbena, but this certainly isn't essential. Cover the bowl and leave it for between 3 and 5 days – give it a quick stir every day if you remember. When the time's up, strain the berry and vinegar mix through muslin. This may take a while but you are allowed to press the berries a little to force out the juice. Measure the resulting liquid. The traditional, and I think best, method at this point is to add 1 pound of sugar for every pint of vinegar – so 450 g of granulated sugar to every 570 ml of vinegar. Pour the mixture into a non-reactive saucepan and bring it up to boiling point while stirring to ensure that the sugar dissolves fully. Simmer very gently for 15 minutes skimming off any nasty looking stuff that floats to the surface. Let the vinegar cool before pouring into bottles and admiring the colour. This should keep for many, many months, but I seem to use most of it up during the winter without really trying. You can make raspberry vinegar in exactly the same way and very nice it is too, though personally I don’t find it as useful as blackberry. 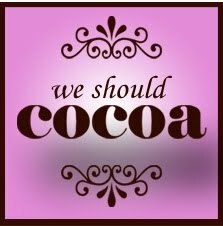 This is my entry in the September “We Should Cocoa” chocolate challenge hosted by Chocolate Teapot and Chocolate Log Blog. The challenge this month is to combine raspberries and chocolate. That's particularly convenient since we planted some canes of a variety of raspberry called 'Polka' in the garden last year and we're currently harvesting plenty of beautifully flavoured raspberries. Adding chocolate to mascarpone will lose some of the silky smoothness of classic tiramisu but it does add a depth of flavour as compensation. What makes a real difference to tiramisu in my opinion is using freshly baked savoiardi, so I've included my recipe for these at the end of this post. When making this I used an excellent English raspberry liqueur from Fonthill Glebe , which has the added advantage of sounding like a character from Dickens: 'Ah, Miss Crumhornly,' said Mr. Pickwick, 'allow me to introduce my very particular friend, Mr. Fonthill Glebe.' But I digress. It's probably best to keep the portions on the small side, since this is fairly rich. The amount given should be too much for two people but they'll probably eat it all anyway. Before you start, take the mascarpone out of the fridge – the colder it is, the harder it is to work. Purée 100 g of the raspberries in a blender with 2 tablespoons of icing sugar and a squeeze or two of lemon. You may need to vary the amount of sugar or lemon depending on the sweetness or otherwise of the raspberries. Put the purée through a fine sieve and stir in the liqueur. Tear the savoiardi in half, place them in the raspberry purée, quickly turn them over and transfer them to the bottom of your serving dishes or glasses. You should be left with some raspberry purée; lightly crush the other 50 g of raspberries into it and set aside. Whisk the mascarpone with the icing sugar until it's nice and loose. Add the chocolate and whisk it in thoroughly at a high speed – this is essential if you want to avoid lumps. Whisk the egg whites until firm and fold them carefully into the chocolate and mascarpone mix. Spoon a layer of the mix over the savoiardi followed by a layer of the reserved raspberry purée. Fill the dish with the rest of the mascarpone and chocolate and decorate with a raspberry or two. Chill until needed but take them out of the fridge before serving – both the flavour and texture suffer if they’re too cold. The amount of ingredients given here will make a fair number of savoiardi, probably between 30 and 40 if you make them small. They keep pretty well in an airtight tin, though. If you want to serve some of them alongside the tiramisu or another dessert, then try varying the topping – a sprinkle of chopped nuts works well. Alternatively, the mixture is fairly similar to that of Gâteau de Savoie, so you could bake a few savoiardi and make a small Gâteau with the rest. Preheat the oven to 170°C. Line two good-sized baking trays with non-stick baking paper or silicone sheets. In a large bowl beat the egg yolks and caster sugar until pale and thick, adding the vanilla bean paste towards the end. In another bowl whip the egg whites to the soft peak stage, then gradually add the icing sugar while continuing to whisk until the mixture is firm. Now you need to fold the flours and egg whites into the yolk mixture. It's best to do this gradually: I suggest adding half the combined flours and about a third of the egg white to start off with. You need to do this folding gently and calmly – I found that listening to Cara Dillon singing helped. When the mixture has come together nicely, put it into a piping bag with a fair-sized nozzle – 2 cm is about right. Pipe short lengths onto the prepared baking trays, leaving a little space for the savoiardi to spread. Of course, you don't have to pipe the mixture, you could just spoon it, but I'm being vaguely traditional for once. Sprinkle over a little caster sugar and bake for around 10 – 12 minutes until the tops are light brown. Definitely err on the side of a lighter shade of brown if you're in doubt. Let them cool a little on the trays before transferring to a wire rack to cool completely.